So I have a bunch of “bugs” on the glass of our pico jar. I first believed them to be flat worms, but am starting to think I have a ton of copapods, and maybe a few flat worms as well? What do you all think? 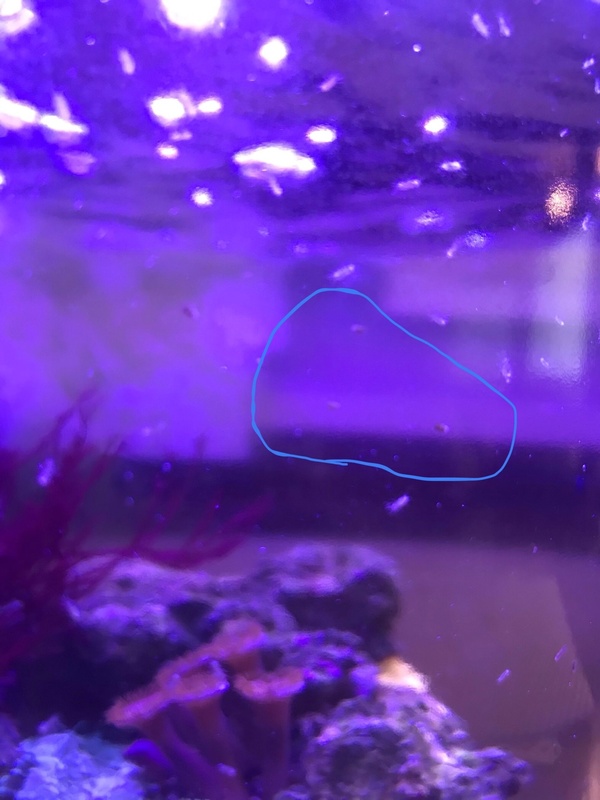 What I believe to be flat worms is circled. They all really obstruct the viewing field. What’s ya’lls recommendation? What about the flat worms? 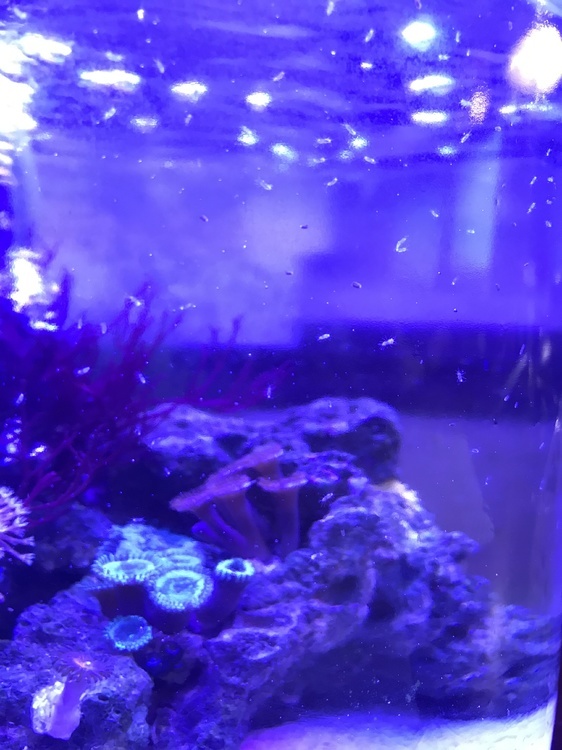 Are they red flatworms? There are a few wrasses that may eat them. I could be wrong but I think the dragonet would as well. Then there's flatworm exit, I've heard good things about it but you want to siphon out as many as you can first so the mass die off doesn't crash your tank.